We can all feel secure that most of the deaths from the end of Avengers: Infinity War will be reversed. Future sequels for Black Panther, Guardians of the Galaxy, and Spider-Man: Homecoming are confirmed. Unless Marvel intends to somehow make those movies without the title characters, you can feel safe that at least some of the dead from the end of Infinity War won't stay dead forever. The question is: How will directors Joe and Anthony Russo make that happen? Will they pull directly from the source material? Are the clues of their plan sprinkled throughout the film, ready for a clever fan to put it all together? Or are they going to come up with something completely new that sounds insane on paper but will (hopefully) impress us all when it gets to the screen? We won't know until May 3, 2019, but in the meantime, speculation is the name of the game. 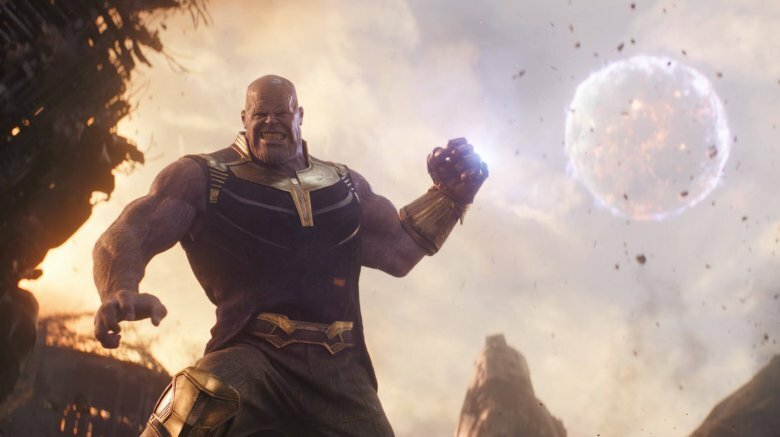 Here's a look at some of the ways Infinity War's ending could be reversed. The most obvious answer to how Infinity War's ending could be reversed is to pull directly from the comics and leave it all up to Nebula. Infinity War is partly based on the '90s comic book miniseries Infinity Gauntlet, in which Thanos collects the six Infinity Stones and erases half the life in the universe with his infamous snap. In the comics, however, that all takes place in the beginning of the story. In the final issue of Infinity Gauntlet, Nebula uses Thanos' momentary distraction to take the gauntlet from him. One of her first actions is to undo all the death — all the people Thanos killed with his genocidal "snap" and everyone who died trying to take the gauntlet from him. 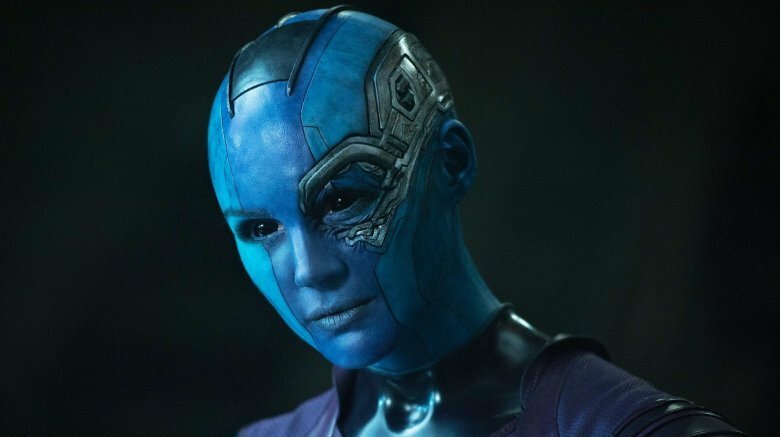 Of course, fans took note that Nebula was one of the few survivors of Infinity War who was not from the original Avengers team. It certainly is possible the Russos will go the way of the comics. Considering she knows Thanos better than any hero still breathing, not to mention that she's made the Mad Titan's death her life's sole purpose, it seems likely that if nothing else, she'll be instrumental in his defeat. But at the same time, it seems just a little too easy. The Russo brothers certainly went against expectations in regards to who did and didn't survive Infinity War. It would seem almost more likely that they chose to keep Nebula in play just to make the audience think the movie would wind up just like Infinity Gauntlet. One thing's for sure. If Nebula does somehow get her hand on the Infinity Stones and reverses the Avengers' deaths, you can bet she won't leave Gamora to rot on Vormir. One thing fans haven't failed to take note of is Doctor Strange's odd behavior during the battle with Thanos. In spite of warning Stark before they crash on Titan that he would let both Stark and Peter Parker die before he willingly gave up the Time Stone, he hands it over Thanos in exchange for Stark's life (even though he doesn't like Stark very much). This is the guy who allowed Wong and Mordo to think he was abandoning them and withstood countless horrific deaths in order to force Dormammu into a bargain. This is the guy who's going to hand Thanos exactly what he needs to wipe out half the universe because he feels bad about Tony getting stabbed? Probably not — unless Strange had something very specific in mind. Before the battle with Thanos, we learn Strange has used the Time Stone to view over 14 million possible outcomes to the conflict with Thanos, with only one ending in the heroes' favor. It seems likely that one outcome needed Strange to hand over the Time Stone. But why? One possibility is the nature of Time Stone itself. Is it possible Strange used it to corrupt the future against Thanos? When no one was looking, did he go back in the past and alter something to give them a chance to undo all of Thanos' damage? Or is it possible he was able to use his magic to "booby trap" the Time Stone in some way? Was handing the stone over to Thanos the magical version of handing someone an infected thumb drive? Some believe the key to the heroes' inevitable victory is one of the heroes who didn't make it: Gamora. Rightly pointing out that in the comics the Soul Stone actually contains an entire world, some fans are theorizing the victims of Infinity War's conclusion didn't really die — instead, their souls were absorbed into the Soul Stone. 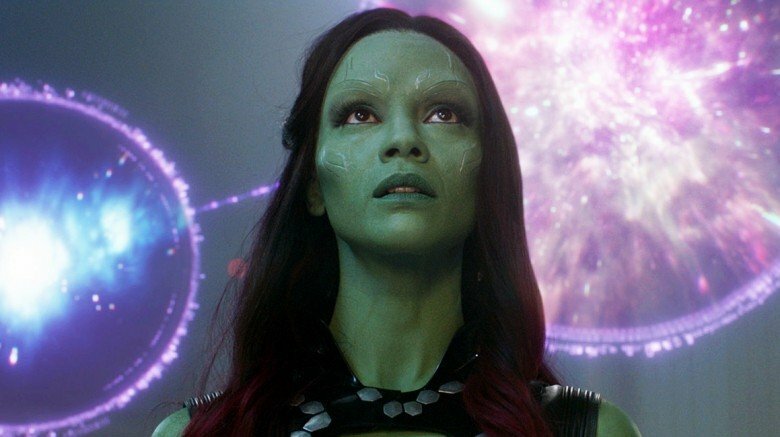 Gamora's proximity to the Stone at the moment of her death, and the fact that her death happened just so Thanos could get his hands on it, could mean Gamora is likewise currently one of the Stone's residents. If both the countless dead and Gamora are in the Stone, then expecting Gamora to be the key to saving the universe isn't that far-fetched. Another theory could go hand-in-hand with this one. Some have speculated that the fact that most of Infinity War's survivors are core members of the Avengers is no mistake. 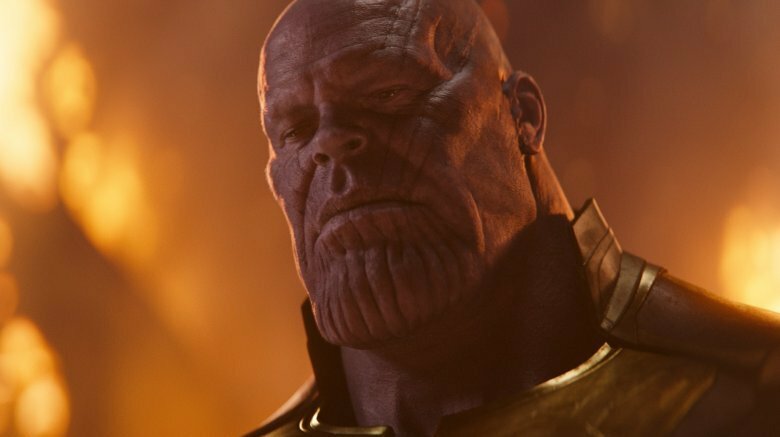 Just as Thanos had to pay the price of Gamora's life to get the Stone, if the Stone contains the souls of Thanos' victims, then it may mean some horrible price will have to be paid to free those victims. Considering that most of the original MCU Avengers are likely to make Avengers 4 their final Marvel film, it may be their own lives that they're asked to give for the lives of the universe. The MCU has brought a lot of comic book staples to the screen. One of the few things we haven't seen much of is time travel. Avengers 4 will likely be where that changes. Considering the scope of the events that need to be reversed, what else could possibly work? The introduction of Thor's new weapon, Stormbreaker, to the MCU opens up some interesting possibilities. It's named after the hammer of Beta Ray Bill and looks like the Mjolnir of the Marvel Ultimate comics. At the same time, we've already seen Stormbreaker do things Mjolnir wasn't capable of. For example, it's apparently able to access the Bifrost, as that's what transports Thor, Groot, and Rocket to the battle in Wakanda. In the comics, Mjolnir originally could do more than fly and shoot lightning and hit people hard. At one point, it allowed Thor to travel through time. 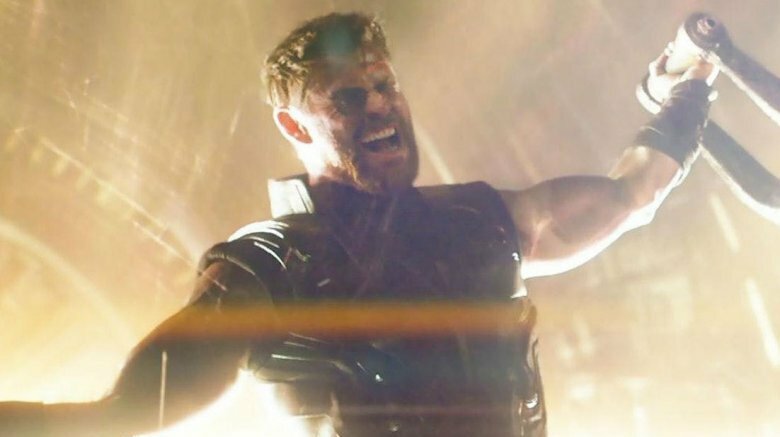 The point of Stormbreaker was to kill Thanos. But Thor failed at that. Maybe it has another use? 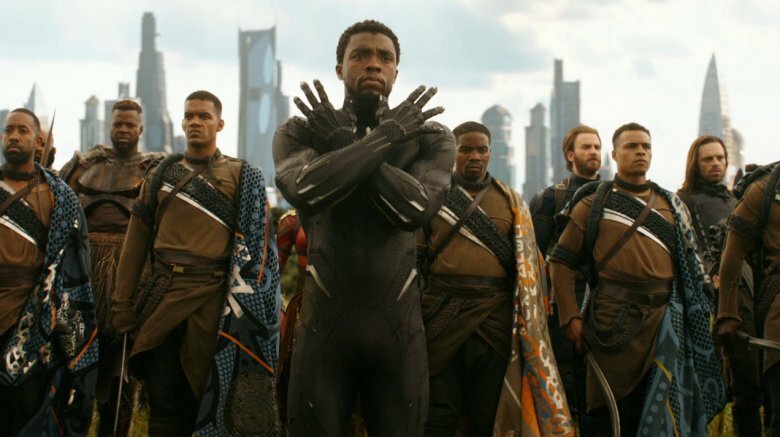 One of the popular fan theories Infinity War proved wrong was that Wakanda was the home of the Soul Stone. To any disappointed fan theorist's credit, it was a pretty good guess. Wakanda's vibranium came from space. Something in the very herbs of the land allowed T'Challa and Killmonger to commune with the dead. And, of course, the trailers and TV spots showed huge battle scenes set in Wakanda. The writing was on the wall. We were just looking at the wrong wall. Marvel Studios hasn't delved deep into supernatural/afterlife stuff. We've only seen characters directly commune with ghosts, or the dead, twice: In Black Panther, with both T'Challa and Killmonger speaking with their fathers, and in Avengers: Infinity War, when Thanos and Gamora encounter the ghost of the Red Skull. There could be a connection between Wakanda and Vormir -– the planet on which Thanos gets the Soul Stone. The fact that characters commune with the dead in both places, and that Black Panther was one of the last films to come out before Infinity War, could mean something. The asteroid that brought vibranium to Wakanda had to come from somewhere. Why not Vormir? And if there is a connection between the two places, could Wakanda be the key to freeing the theoretical dead from the Soul Stone? Seconds before Corvus Glaive breaks through to the lab, Shuri stops her work on Vision to very quickly type something into the display before throwing on her gauntlets and attacking Corvus. 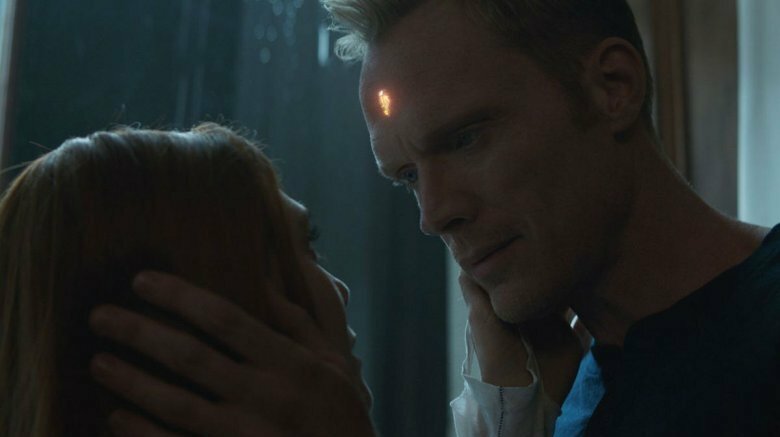 And since she didn't separate Vision from the Mind Stone, you might assume that whatever she was doing, it wasn't finishing that job. So then what was she doing? One idea is that Shuri was pulling a little Star Trek II: Wrath of Khan magic — like Spock did with McCoy's poor head, Shuri was backing up Vision's consciousness just in case the inevitable happened. If that's the case, then the Avengers might have an ace up their sleeve they don't know about. Assuming Banner was right and Vision could survive independent of the Mind Stone, they may learn secrets about the nature of the Stones to which Thanos might not be privy. Earlier in the film, Vision talks about feeling like the Stone is speaking to him. What if the intensity of the Stone's power is too much but, freed from it, Vision's backed-up mind would be clearer and able to give the Avengers the information they need to reverse Thanos' work? Captain Marvel is coming, and she may be the key to everything. The Carol Danvers of the MCU will be different from the Danvers of the comics. We know that already. 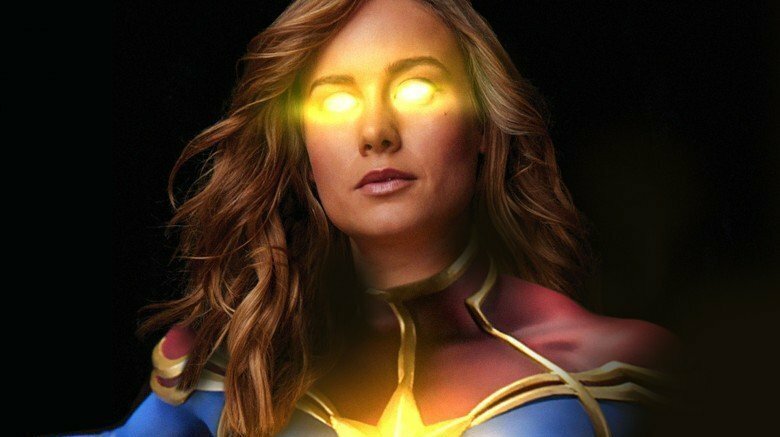 We know Kevin Feige has been quoted as saying that Captain Marvel is easily the strongest all the Marvel heroes, whereas in the comics, either Thor or Hulk would beat her easily in that department. We know Josh Brolin has confirmed he's filmed scenes with Brie Larson for Avengers 4, so if the post-credits scene wasn't enough of a confirmation, we know for sure that she'll be in the movie and fighting Thanos. And we know that when Nick Fury saw what was happening, Captain Marvel wasn't one of his calls. It was his only call. Which suggests that at the very least Fury knew for some reason, she was the one for the job. We won't know the full of extent of her abilities until Avengers 4 — or whether they have anything to do with the reversal — but however Thanos bites the dust, she'll be giving him one of his biggest bites. 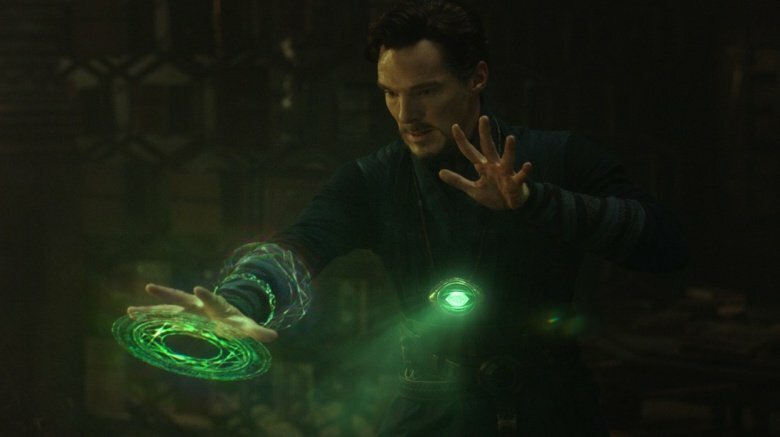 When considering the unlikelihood of Doctor Strange giving up the Time Stone to Thanos, you should remember that he not only went against his word and handed it over in exchange for someone's life, he handed it over to save the guy who all the evidence would seem to show Strange couldn't stand. And it's also worth considering that Strange gave up so much to save Tony's life after seeing over 14 million different outcomes of their fight with Thanos, only one of which had a happy ending. It's obvious whatever needs to happen for that one shiny, happy outcome, Stark is an integral part of it. And that makes sense. Not only is he a genius, not only is he the obvious choice for a participating science bro if time travel does become a necessity (and it almost definitely will), but he's the guy who started all of this. He was the one whose adventures in the desert planted the seeds for this expansive film narrative. If Avengers 4 brings a conclusion to the story that started there, of course he should be the hero of it. In the end, the one who reverses his "victory" may be Thanos itself. 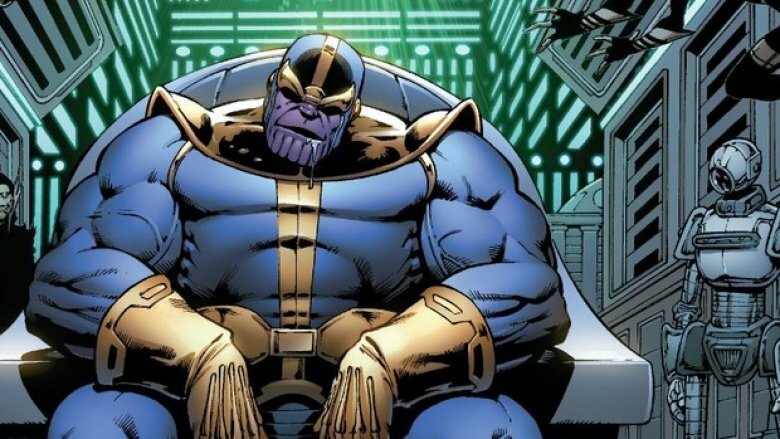 It's been often commented in the comics that Thanos is the source of all of his defeats. Time and again, the Mad Titan has grasped limitless power that should have allowed him to brush aside all challengers, but still he failed. But saying Thanos is his own worst enemy may prove to be more than a psychoanalytical cliché or a metaphor. He says something curious right before he kills Gamora: as he grabs her and pulls her toward the edge of the precipice, he says, "I ignored my destiny once. I cannot do that again. Even for you." He ignored his destiny once? When was that? 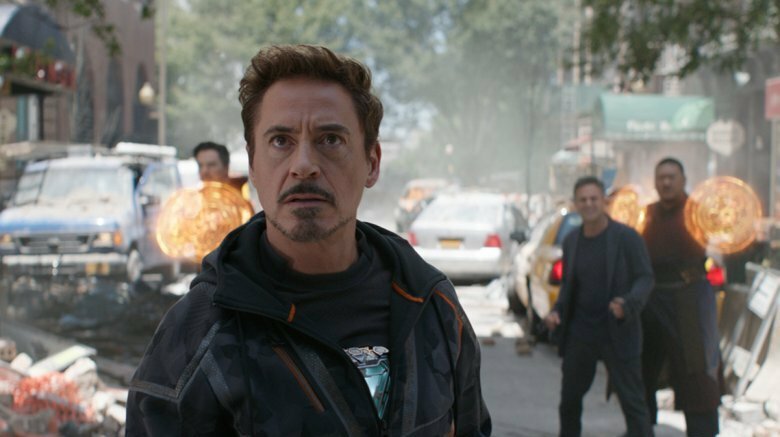 In other words, as we've already brought up in different theories — and what leaked set photos seem to bear out — time travel will almost definitely play a key factor in Avengers 4. And if there was a time when Thanos "ignored" his insane crusade to slaughter half the universe, then someone might know about that. Someone like, say, Nebula? They might know when Thanos somehow had a grip on his sanity. And they might know when to send an Avenger or two to recruit Thanos in the war against himself. In Ant-Man, Hank Pym describes the quantum realm in which he lost his wife as a place where "time has no meaning." Scott Lang experiences it firsthand at the end of the film, and considering what reversing the bad of Avengers: Infinity War may take, he might need to experience it again. Again, if time travel is indeed a strong component of Avengers 4, a place where "time has no meaning" seems like a pretty good weapon to utilize. 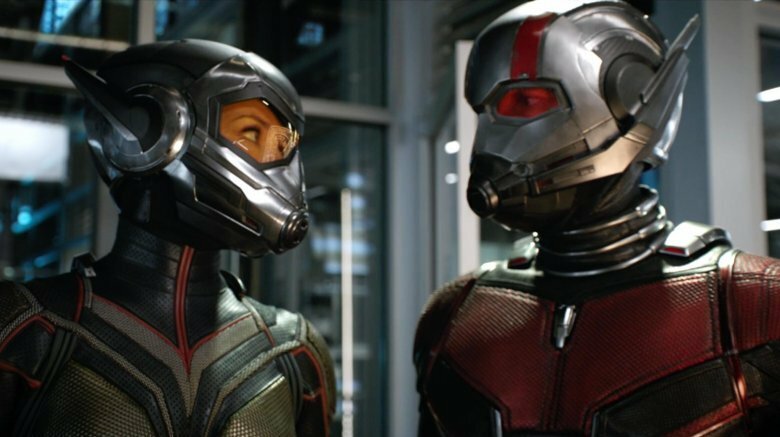 Considering neither Ant-Man nor the Wasp were around for Infinity War, having them use the quantum realm to defeat Thanos would give them a much-needed chance to shine amid the MCU's crowded field of heroes. And if Hank Pym makes his way into Avengers 4? Well, to old school Marvel Comics fans, a scene with Tony Stark, Bruce Banner, and Hank Pym in the same lab would be pretty freaking cool. What if Loki's still alive? 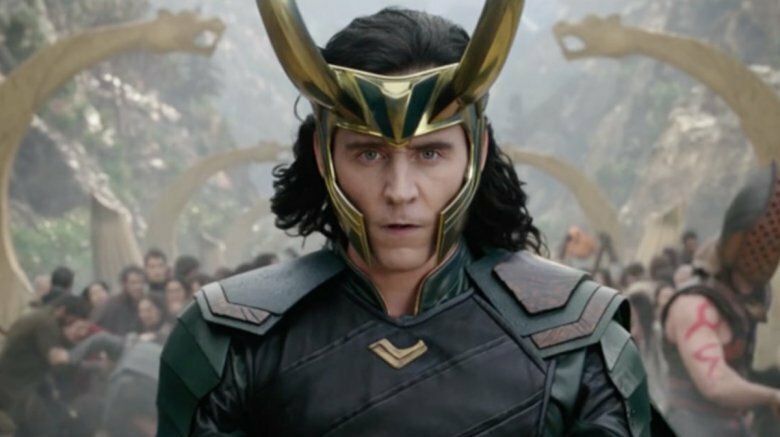 Save for Thanos himself, Loki has had more direct contact with more of the Infinity Stones than any single character in the MCU. He was a bearer of both the Space Stone and the Mind Stone. It would've been Loki — disguised as Odin — who took possession of the Aether after Malekith's death, and it would've been Loki who ordered Sif and Volstagg to bring the Aether to the Collector. Taken at face value, Loki sending the Aether to Knowhere is the most baffling thing he's ever done. Why would someone with as much power hunger as Loki have not one but two Infinity Stones under his command and choose willingly to send one of them away? Could it be that Loki and the Collector have been plotting behind the scenes? We never see Thanos kill The Collector. What we saw on Knowhere was an illusion for the Guardians' sake, and even in that illusion, the Collector didn't die. It could be that there's no secret plot behind Loki sending the Aether to Knowhere, but the only way it makes sense narratively is if that there's collusion going on between Loki and the Collector. In fact, if the Collector and Loki have been plotting behind the scenes, it would explain a tiny unanswered question from Thor: Ragnarok – exactly how did Loki gain the Grandmaster's favor? That's never spelled out. In the comics, the Grandmaster and the Collector are both allies in the Elders of the Universe. Maybe that's why the god of mischief didn't end up getting a haircut from Stan Lee like Thor. Clearly if they've been plotting to keep the stones safe from Thanos, they've failed. But maybe they were able to harness enough power to survive, and maybe they'll be the ones to rally the universe against its greatest murderer. This one is crazy. This one is just silly. It's ridiculous. If it turned out to be true, people would want to burn the Russo Brothers at the stake. Think back on Vormir and Thanos acquiring the Soul Stone. Thanos throws Gamora from the edge of the cliff. Gamora falls and dies. A bright light issues from the sky above Thanos. The light grows and envelops everything. Thanos awakens somewhere else, not where he was when he killed Gamora, and he has the Soul Stone. First, when he wakes with the Soul Stone, Thanos is not where he was when he killed Gamora. Second, the Russo Brothers have said Avengers: Infinity War is essentially Thanos' movie. Third, as those theorizing that Thanos' victims have been absorbed into the Soul Stone have pointed out there is — at least in the source material — an entire world within the Soul Stone. Fourth and finally, before Thanos kills her, Gamora protests that what he feels for her isn't love. What if Thanos failed the test? What if Gamora was right? What if the reason Thanos awakes somewhere different from where he killed Gamora is because he failed the Soul Stone's test and rather than gaining ownership over it, he became owned by it? What if where he woke was the interior of the Soul Stone, and what if everything else that happened in Avengers: Infinity War after that scene was just a dream — just the Soul Stone's way of making Thanos comfortable?